Every politician does it. Republican, Democrat, Socialist, Marxist, Communist. Politicians say things that they do not fully believe. They profess to care when they don't. They say they don't care when they really do. They claim to be "absolutely sure" when they don't really know - and they declare they don't know when they surely do. These acts are at least insincere, perhaps worse. One sign is of insincerity is speaking with the mouth asymmetrically. 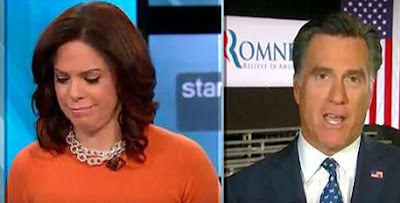 Unless it is part of that person's normal (and highly atypical) body language speaking behavior - talking out of the side of the mouth is a sign of insincerity or contempt (although no display of contempt is seen here by Mr. Romney. Distinguishing contempt vs. insincerity is a difficult nonverbal nuance for the body language novice to make). In this CNN video, U.S. Presidential Candidate hopeful, Mitt Romney made a comment for which he has received a lot of negative press lately - "I'm not concerned about the very poor, we have a safety net there, if it needs repair I'll fix it ......". Throughout the majority of this interview, Mr. Romney speaks predominantly out of the right side of his mouth. Whenever a person is interviewed hundreds of times a month, it is difficult to convey caring and depth of emotion. Ay, there's the rub! - how to convey sincerity when you've said the same thing a thousand times. But boredom does not insincerity or contempt make. When you tell your "significant other" that you love them, do you sound bored? I hope not. Of course, this is not the same emotional context, but all who profess to lead should study sincerity - how to detect it and how to become it. It will change them only for the better. People will follow you if you're sincere and they will leave you if you're not. Mitt, Newt, Barack, Rick, Ron .... and for that matter, Vladimir, Hu, David, Nicholas, Manmohan, etc. all would do well to watch video of their speeches and interviews. It may be just a bit painful.